Photographer’s notes: This four-part series is a cross-over to the following collection, and connects to the recent group of para-cyclists who ride with various disabilities. I have come across a collection of para-cyclists over the summer, riding with disabled limbs, or using trike-style bikes to compensate of their less visible injuries. This Brussels-based cyclist was slightly more eye-opening, both in potential for the rider and in my preconceptions. 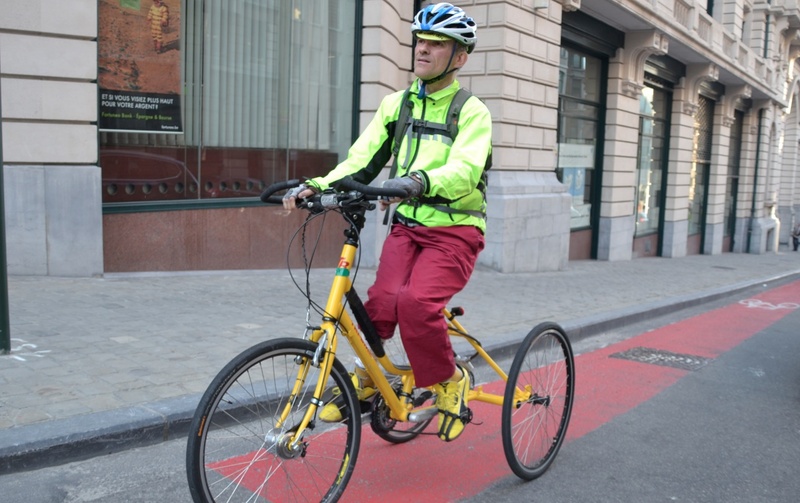 This entry was posted in advocacy, commuter, competitive, Europe, paracyclist, tricycle and tagged Brussels, October, Tribike. Bookmark the permalink.